Before iOS 11, you could take still photos during Facetime calls by tapping the small white shutter off to the left. But you weren’t able to capture movement. This is a more hidden new feature of iOS 11 that I think is really cool—you can now turn on a setting that allows you to take Live Photos while you’re on a Facetime call. Just like with other Live Photos, this means you’ll have a still image of your Facetime screen that when activated comes to life for a few seconds. Here’s how to take Live Photo during Facetime calls with iOS 11 on iPhone. iMessage not working erros are a big problem on the iPhone, especially with new iOS updates like iOS 12. In this article, we'll cover all the reasons why iMessages might not be working and how to fix the problem. We’re also going to look at a similar error: FaceTime waiting for activation, which many users are also struggling to resolve. If you’re having problems with FaceTime or iMessages not activating and wondering why they won’t work, this is the post you need. Here’s how to fix the iMessage waiting-for-activation error on the iPhone. If you have multiple numbers and email addresses associated with FaceTime, you can set which one will appear as your caller ID. Setting your caller ID will allow the person receiving your call to always see the same contact and know it’s you. Your caller ID can be your phone number or linked email account, depending on your preference. We'll cover how to change your Facetime caller ID in a just a few easy steps. Thanks to our iDevices we can be connected at all times, never missing a call, email, message, or notification. But there may be times when you don't want to be connected. That's when the Do Not Disturb feature comes in handy. 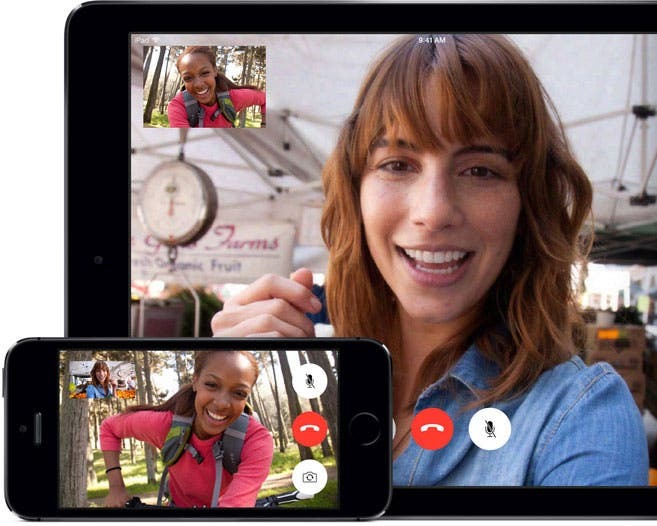 Using call waiting with FaceTime is just as easy as it is with a regular phone call! When someone else calls you when you’re on FaceTime, you have options: End & Accept or Decline. If the calls are both FaceTime Audio (FaceTime without video) or one is a regular phone call, you'll be able to Hold & Accept. When you're FaceTiming, you can see the other person and you can also see yourself. But say you’re FaceTiming someone on your iPad or iPhone and they’re trying to show you something from their location, or their face is covered the small image of you.